There’s perhaps no other author in the world better positioned to write a medical thriller than Susan Hurley. With over thirty years of experience in medical research and the pharmaceutical industry, Susan has had a front row seat to almost everything that goes on in the high-stakes, big-ego world of medicine. Turns out, it all ended up being the perfect material for a cracking thriller. 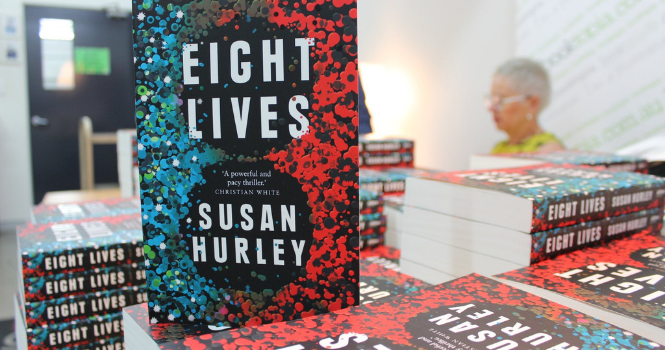 Described as “a smart, sophisticated thriller that explores power, class and prejudice,” Susan Hurley’s debut novel Eight Lives is like nothing you’ve ever read before. Told from multiple perspectives, it tells the story of a former Vietnamese refugee, David Tran, who is on the brink of transforming immunology with his groundbreaking research. Before he can test his potentially life-changing drug, however, David ends up dead in highly suspicious circumstances. For Susan, Eight Lives is the result of a lifetime of knowledge and first-hand experience of such a dynamic field, as well as a burning desire to write. “I’ve always been a keen reader and always had a lurking ambition to write a novel,” she says, but the busy nature of life in medical research meant that she never had the time. It was only after she had reached a stage of life where she had more time to herself that Susan began once more to entertain the notion of writing a novel – and we’re so glad she did. Ben and I sat down this week with Susan this week to chat all about her book, the tragic real life drug trial that inspired it, and everything in between. I’ve just finished your book and I thought it was truly original and that you are talented new writer to emerge on the Australian scene. You say in the podcast that you hope people will learn something as well as feel from reading your book – I can promise you I did both! I am including the brief review of your novel I wrote for the Surf Coast Reader which includes my responses ‘Eight Lives’. Good luck with your next novel – I am looking forward to reading it. 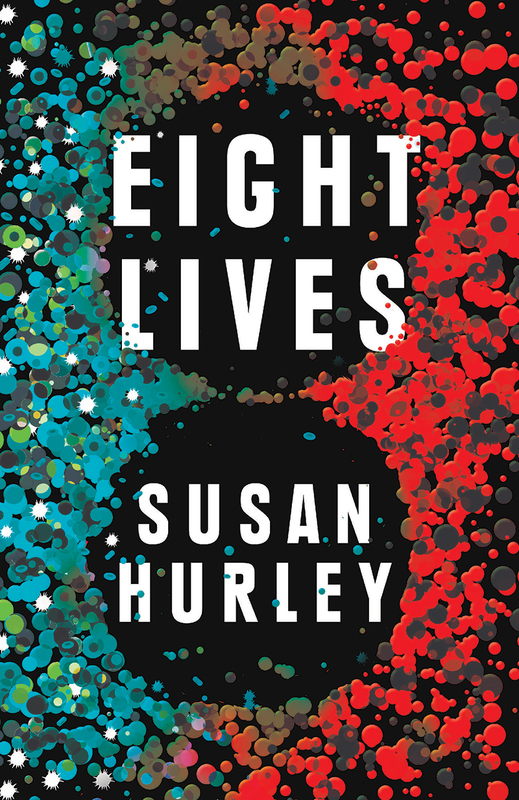 If you want to experience something new and unique in fiction go to Susan Hurley’s recently published, Eight Lives. It’s been designated a new genre: ‘Medical Thriller.’ For those of you just wanting a thriller which keeps you guessing and turning that next page for revelation, this novel will satisfy. But this multi-layered novel more to offer. Though the deftly structured plot kept me turning the pages, it was the gradual, seamlessly interwoven revelations of character that most absorbed me. It’s wonderful when you totally forget the author’s hand behind the pen, and become engrossed in the individual characters – their psyche and motivations. “Eight Lives” confronts difficult and disturbing questions of humanity morality and the choices we make, but does not allow easy absolutes or judgements. This ‘eyes-wide-open’ appraisal of reality presents us with an authentic insight into the world of medical and pharmaceutical research where the lives of the students, researchers, professors, investors, doctors, nurses and admin staffers converge in the endless quest for success. Like Tsiolkas’ characters, Hurley’s are human and flawed, but in most cases she has a kinder, lighter touch than Tsiolkas who can be quite brutal in his revelations. She uses deft irony to effect in exposing hypocrisy or miscreance, but employs it with light bemusement when dealing with an individual’s vanities or self-delusions. Hurley can also apply a comedic detachment, in dealing with difficult, potentially distressing subjects such as animal experimentation. No doubt readers will have different perspectives and judgements of the five major players in Eight Lives and the various social issues the novel raises. 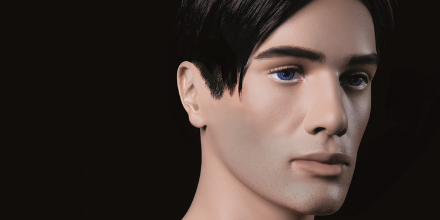 Susan Hurley told one interviewer that the imperfect Miles was her favourite character; but it is the imperfect Dung Tran, David – the Golden Boy, and his painful tryst with adversity that weighed indelible in my mind long after I closed the last page.